The Dreamcast Junkyard: Stop - Shower Time! 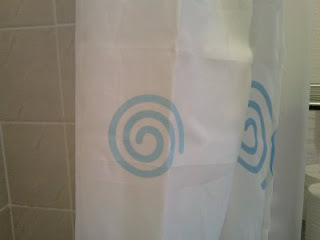 Dreamcast swirls inhabiting my mum's bathroom. Who'd have thought it? Ignoring claims that I should 'get out more,' I've gone and got myself on Xbox Live. It's pretty good ain't it? Except for the chavs infesting Project Gotham 3, that is. Feel free to add me to your list - Tomleecee1982. Wait I must have hit the web address for UK Resistance by mistake.